The son of migrant workers, Adán Hernández was born in Childress, Texas on October 15, 1951. Hernández, who has been actively painting the past two decades, has had his work exhibited in museums in the United States and Mexico. In 1991, his work caught the attention of film director Taylor Hackford (La Bamba, Devil's Advocate), who signed him up to create more than 30 original paintings, drawings, and a mural, and to star in a cameo role for the 1993 epic barrio cult-classic, Blood In…Blood Out. 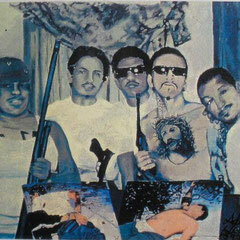 Hernández's work merges neo-expressionism with "Chicano noir". The aesthetics in his art evoke emotions of alienation, uncertainty, desperation, and loss, which dominate the Chicano experience. In describing his work, Hernández says, ''the high drama and highly charged content in my work reflects the day-to-day epic struggle of life in the barrio. Here, the challenge to overcome overwhelming adversity, which we celebrate in films, is a common occurrence. Chicano Artist Adan Hernandez has a dream, he wants to make life better for as many people as possible that need help, starting in his own barrio. He dreams of bringing prosperity to his community by opening a gallery, providing a welcoming space to hold art gatherings and for people to come view the accomplishments of Chicano artists; to be inspired by them, encouraging the Chicano Fine Arts Movement to both barrio youths and to the world. 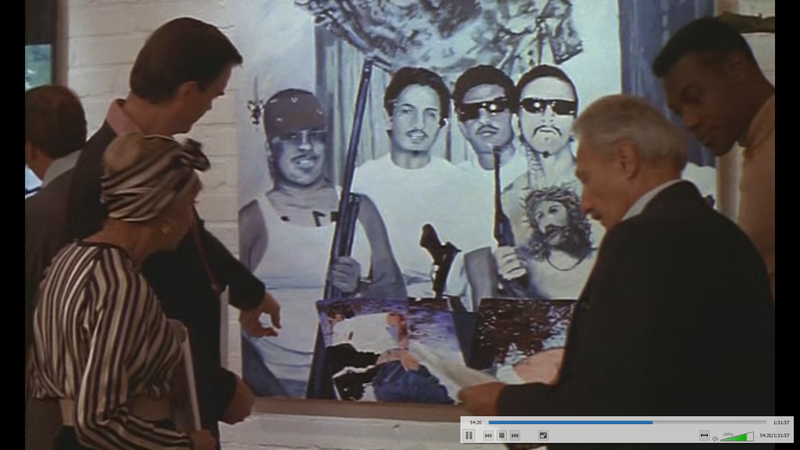 Adan’s art has already moved many, it was a crucial component to the 1993 released film – Blood In Blood Out – that follows the intertwining lives of three Chicano relatives from 1972 to 1984. Adan created the works for actor Jesse Borrego’s artist character, Cruz Candelaria. The iconic film has become important to the Mexican-American world, it was the first feature film to showcase Chicano art. Two of Adan’s works are a part of the Metropolitan Museum of Art’s permanent collection. He also volunteers at schools talking to kids about growing up in the barrio and its culture, art and empowering them to create their own. You can help Adan to achieve this very worthwhile dream by donating to his fund.me campaign. If you donate $50 or more you can get a signed print of an artwork from Blood In Blood Out (one of my all-time favourite movies might I add!). The gallery – El Otro Ojo – Arte Atomico – will also be a home for the film’s art including the iconic mural in the films climatic closing scene. The Chicano Civil Rights Movement, Blood In Blood Out (he didn’t like it when he first saw it! ), inspiration from Mexican painter Frida Kahlo, of the support from his friend and a collector of his art actor Cheech Marin [half of comedy duo Cheech & Chong], plus the racism they faced from art galleries across the U.S. to put on a travelling exhibition of Chicano artists and so much more. Adan Hernandez is one of the seminal figures in San Antonio's Chicano art movement, which began to get attention in the 1970s. His parents were migrant cotton pickers. The family eventually settled in San Antonio, where Hernandez became interested in drawing. 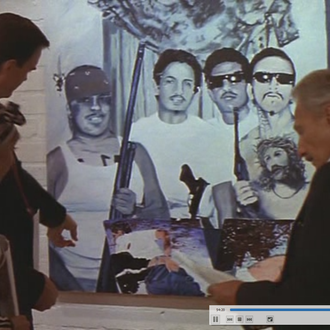 It wasn't until he saw a painting show by Jesse Treviño in 1980 that it occurred to him that he could be a serious artist, and his big break came when film director Taylor Hackford chose 30 of Hernandez's paintings for his 1993 crime-drama Blood In, Blood Out. In addition to his large body of work that occupies both public and private collections (including Cheech Marin's definitive Chicano art collection), Hernandez also published the novel Los Vryosos: A Tale from the Varrio and is currently working on an ambitious project to bring a Chicano art museum to San Antonio. What was your first art experience? Was there a moment when you knew you wanted to be an artist? I didn't know I could be or make a living as an artist until I was 30 years old. I would come home from work and paint the walls with trivial art, and I was evicted a few times for doing this. I didn't realize my potential until Jesse Treviño had an art show downtown. That's when my girlfriend (and later my wife) Debi Fischer convinced me to quit my job and focus on being a serious artist. If not for her, I never would have been an artist. How would you describe your work to someone who's never seen it? I would say my artwork is sacred to me and mi gente because it comes from a people who have suffered brutal hardships. That this art has been pummeled to the ground in hopes that it would just go away by a racist regime, which is our institutions. This art stands for something significant in the American experience. 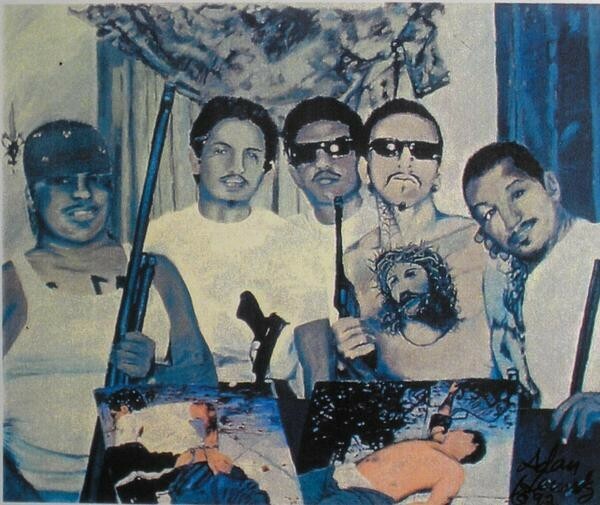 Where do you think the state of Chicano art is today? I think Chicano art today is, like most Mexican-Americans, still clawing to exist. There are, however, glimpses of hope here and there. To be a working artist is hard enough, and to be a Chicano artist is highly hopeless. Although there are pockets of collectors who have kept me, and others like me, in the art scene. What was it like growing up as a Latino in San Antonio in the 1960s? Growing up as a Chicano on the West Side of San Antonio was an incredible experience that I wouldn't trade for anything. In the '60s, it was a hard time to make a living. My parents had eight kids, and I worked in the fields every summer just to put food on the table and have clothes for school. In spite of that, we had so much fun and laughed so hard. 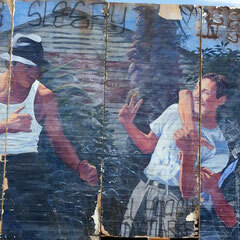 Chicano culture on the West Side was like barrio theater, with the way we handled hardship with humor and friendship. Were there artists you looked up to? My peers wouldn't even talk to me. Only after I gained national recognition when the [Metropolitan Museum of Art] bought two of my pieces for their permanent collection, and after my paintings were featured in a movie, did I gain some grudging respect. As far as influential art, I loved Jesse Treviño's art, which was about my barrio, and César Chávez, whose art I really admired. In Los Angeles, I was influenced by the late Carlos Almaraz ... César Martínez, who has lived next door to me since 1986, has become like a brother to me, and I think his work is incredible. If someone were to ask you about the content behind Chicano art, what would you say? I prefer to call myself a Chicano artist because I come from a time when we were slave labor. My parents and grandparents knew nothing else. It was the Chicano Civil Rights movement that allowed us to realize our dreams. We came out of the fields and into the classroom and became empowered. Most Mexican-American youths don't know about our struggle. They think their rights were given to them by a caring America. We are also grateful for white people like Robert and Ethel Kennedy, who came to our struggle. Nobody seems to care about our struggle, even though there was plenty of violence against our leaders. Our rallying cry was, "Adelante con la causa! La gente primero! Y que viva la raza!" What's your best advice to young artists? My advice to young artists is that if you are not obsessed with art, viewing or creating it, find other ventures. Art demands everything from you if it is to be worth viewing. And if you are that person who is devoted, remember that every age has its great truths, and it is up to artists and authors to reveal them to the world. Why do you think artists and musicians never seem to find appreciation where they live? In 1980, local Chicano artist Jesse Treviño took the city by storm. Never had this town seen such incredible Chicano art. He influenced me greatly, and 10 years later I got a break when my work was discovered by Hollywood, and I was hired to create 30 paintings for Taylor Hackford's cult classic Blood In, Blood Out. Local actor Jesse Borrego played the Chicano artist in the film. It took Hollywood for my work to be accepted, in a film that crashed cultural barriers internationally. And most of that had to do with my art in the film. Viva Chicano art!